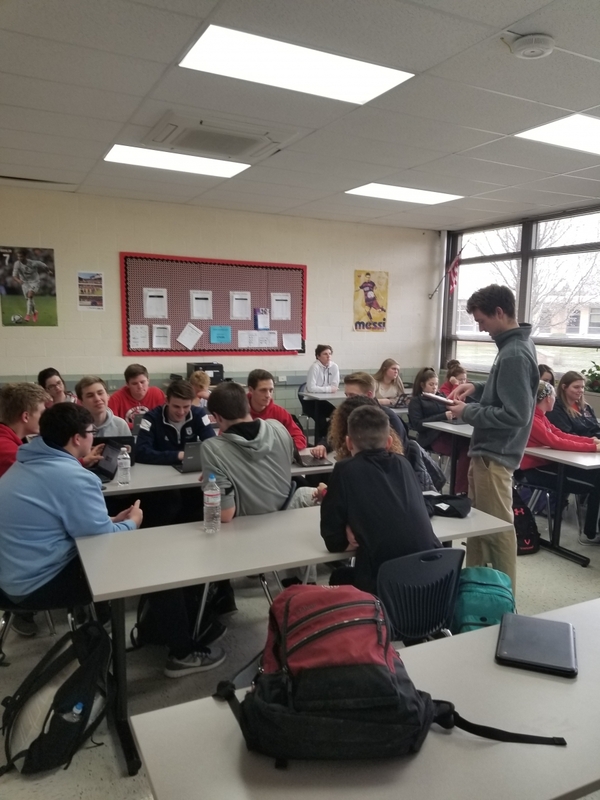 The Honors Marketing Students in Mr. Mirizzi's class have been busy preparing for a business competition coming up at Mount Saint Joseph University. This is a new competition that MSJ is hosting and will showcase several local schools as they have to present a Business Plan for a Sprint Triathlon to a panel of judges. The Highlanders will be competing against Taylor High School, Colerain High School, Northwest High School, and Harrison High School. The pictures below are from last week when Brandon Raabe, from MSJ Office of Admissions and OHHS Alum, stopped by with one of the students from the MSJ MBA Program to check in our student's progress. The Mount Saint Joseph's University Inaugural High School Business Competition organized by Matt Taske, another OHHS Alum, and Cindy Veraldo will take place after our return from Spring Break.